You may cancel your membership at any time, with or without cause, upon e-mail notice and we will disable your membership. Additionally, you may suspend your membership by navigating to the "My Account" page, clicking the "Update Credit Card or Cancel/Restore Membership" link, checking the "Cancel Membership Payments" checkbox, then clicking the "Update Credit Card or Membership Status" button. Your membership will automatically renew, however, on your renewal date until you cancel or suspend your membership. The terms and conditions of this Agreement will survive the termination and/or cancellation of your membership. You must be 18 years of age or older to become a member of or access the Website. Placing a check in the box next to "I agree to the above Terms and Conditions" on the Membership Application page of the Website indicates that you have read this Agreement in its entirety, understand it completely, and agree to be bound by its terms. This Agreement governs your access to and use of the Website and any services, information, text, graphics or other materials uploaded, downloaded, or appearing on the Website. You may use the Website only in compliance with this Agreement and all applicable local, state, national, and international laws, rules and regulations. All right, title, and interest in and to the Website (including content provided by users) is and will remain the exclusive property of TYP. The Website is protected by copyright, trademark, and other laws of both the United States and foreign countries. Nothing in the Agreement gives you a right to use any of the TYP names, trademarks, logos, domain names, and other distinctive brand features. No content from the Website can be copied, printed or distributed by any mechanism at any time without the express written permission of TYP. TYP respects the intellectual property rights of others and expects users of the Website to do the same. The information provided on the Website is designed to help you make informed decisions about your health. It is not a substitute for professional medical advice, prescriptions, and treatment. The information contained in the Website is not intended to be a medical diagnosis, treatment, or medical advice in any form, as it is general information and cannot be relied upon without consultation with your physician. Before following any of the information or programs on the Website, or beginning any new diagnostic or treatment strategies, you agree to consult with your physician and get a physical examination from your physician. Any information or references to prescription drugs and medical procedures are for informational purposes only. NEVER USE PRESCRIPTION DRUGS OR SUPPLEMENTS OR OBTAIN ANY MEDICAL PROCEDURE OR TREATMENT WITHOUT AN EXAMINATION AND CONSULTATION BY YOUR PHYSICIAN. You agree that your participation in the Website and its programs, access to and use of the Website is at YOUR SOLE RISK AND IS WITHOUT WARRANTIES OF ANY KIND BY TYP OR ITS OWNERS, EMPLOYEES, AGENTS, HEALTH COACHES, OR REPRESENTATIVES, EXPRESSED, IMPLIED OR OTHERWISE, INCLUDING WARRANTIES OF TITLE, FITNESS FOR PURPOSE, MERCHANTABILITY, OR NONINFRINGEMENT. UNDER NO CIRCUMSTANCES IS TYP LIABLE FOR ANY DAMAGES OR INJURIES ARISING FROM YOUR USE, EITHER DIRECTLY OR INDIRECTLY, OF ANY ADVICE, INFORMATION OR METHODS PRESENTED WITHIN THE WEBSITE. You understand and agree that the Website is provided to you on an "as is" and "as available" basis. TYP makes no warranty and disclaims all responsibility and liability for the completeness, accuracy, availability, timeliness, security or reliability of the Website or any content thereon or otherwise relating to such materials or on any sites linked to this website and disclaims responsibility to all posts herein. TYP will not be responsible or liable for any harm to your computer system, loss of data, or other harm that results from your access to or use of the Website or any content. TYP has no responsibility or liability for the deletion of, or the failure to store or to transmit, any content and other communications maintained by the Website. TYP makes no warranty that the Website will meet your requirements or be available on an uninterrupted, secure, or error-free basis. The information and services may contain bugs, errors, problems or other limitations. TYP and its affiliated parties are not liable for any direct, indirect, special, incidental or consequential damages (including damages for personal injury, loss of business, loss of profits, or the like), whether based on breach of contract, breach of warranty, tort (including negligence), product liability or otherwise, even if advised of the possibility of such damages. Notwithstanding anything contained herein to the contrary, in the event of a finding of liability against TYP, the total liability of TYP and its owners, officers, directors, employees, agents, health coaches, information providers, experts, partners, affiliates, or suppliers, if any, for losses or damages shall not exceed the fees paid by you for the particular information or service provided which allegedly caused the harm. THE NEGATION OF DAMAGES SET FORTH ABOVE IS A FUNDAMENTAL ELEMENT OF THE BASIS OF THE BARGAIN BETWEEN TYP AND YOU. THE WEBSITE AND THE INFORMATION WOULD NOT BE PROVIDED TO YOU WITHOUT SUCH LIMITATIONS. Some jurisdictions do not allow limitations on implied warranties or limitations of liability for consequential or incidental damages; therein these limitations may not apply to you. Those who become members of the Website will receive a password that provides access to the information presented within the Website and opinions from the Website's members and other contributors. Only registered members have permission to view and print any and all of the information provided within the Website. Membership passwords are strictly confidential and may only be used by the registered member. Anyone who shares or reveals their membership password or any of the information presented within the Website without specific written permission from TYP is violating the conditions of the Agreement with TYP. This will result in termination of membership. Should any part of this Agreement be held invalid or unenforceable, that portion shall be construed consistent with applicable law and the remaining portions shall remain in full force and effect. To the extent that anything in or associated with the Website is in conflict or inconsistent with this Agreement, this Agreement shall take precedence. TYP's failure to enforce any provision of this Agreement shall not be deemed a waiver of such provision nor of the right to enforce such provision. Access, tamper with, or use non-public areas of the Website, TYP's computer systems, or the technical delivery systems of TYP's providers. Probe, scan, or test the vulnerability of any system or network or breach or circumvent any security or authentication measures. Access or search or attempt to access or search the Website by any means (automated or otherwise) other than through our currently available, published interfaces that are provided by TYP (and only pursuant to those terms and conditions), unless you have been specifically allowed to do so in a separate agreement with TYP. Crawling the Website is permissible if done in accordance with the provisions of the appropriate text file, however, scraping the Website without the prior consent of TYP is expressly prohibited. Forge any TCP/IP packet header or any part of the header information in any email or posting, or in any way use the Website to send altered, deceptive or false source-identifying information. Interfere with, or disrupt, (or attempt to do so), the access of any user, host or network, including, without limitation, sending a virus, overloading, flooding, spamming, mail-bombing the Website, or by scripting the creation of content in such a manner as to interfere with or create an undue burden on the Website. TYP takes reasonable and customary precautions to protect member information. When users submit information via the Website it is protected with the standard Secure Sockets Layer (SSL) Internet encryption technology. While on a secure page, such as the Membership Application Page, you will notice that the URL (web address) of a secured, encrypted page always begins with 'https' instead of just 'http' (the ending "s" indicates that it is a secured page). Payment information submitted on the Website is transmitted in an encrypted state (credit card numbers are also stored in an encrypted state). We also use reasonable and customary procedures to protect member information off-line as well. 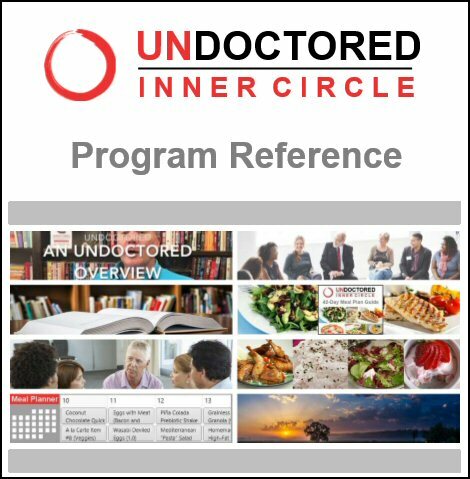 In order to utilize certain website features or receive consulting from our health coaches, a member may be asked to provide additional information regarding their gender, goals, general health status, lifestyle and eating and exercise habits, time and equipment availability, special limitations, etc. From time to time, TYP may alert you to special offers by third parties. However, TYP will not sell, lease, or rent any of your information to anyone outside of TYP. At no time does TYP collect any information from our members other than that information our members voluntarily provide us, including IP address information. As a user you agree to any information you have entered being stored in a database. While this information will not be disclosed to any third party without your consent, TYP is not responsible for any hacking attempt or other unauthorized activity that may lead to the data being compromised. All content submitted to the Website forums, whether publicly posted or privately transmitted, is the sole responsibility of the person who originates such content. TYP does not monitor or control the entirety of the content posted via the Website and we do not endorse, support, represent or guarantee the completeness, truthfulness, accuracy or reliability of any content or communications posted via the Website or endorse any opinions expressed via the Website. You understand and agree that by using the Website you may be exposed to content that might be offensive, harmful, inaccurate or otherwise inappropriate, or in some cases, postings that have been mislabeled or are otherwise deceptive. By using the Website forum you agree to abide by TYP forum guidelines which apply to posts, profile information, avatars, signatures, any other content on the Website and participation in general. This includes content private messages. You acknowledge that TYP has the right and ability to read such private messages. If you are unsure of whether or not material is acceptable please contact TYP for clarification. All IP addresses are logged and may be used to enforce this Agreement. Due to the live nature of the discussions on the Website, it is not possible for TYP to review and/or confirm the accuracy or validity of a message before it is posted. If you believe that someone has violated our User Guidelines or you have spotted content that may otherwise require attention, please report the link to the content and a brief description of what you believe is wrong. Notification is voluntary, but in no case should a user respond to a situation personally. Directly responding to a violation may be a violation of these rules as well.. The following are rules related to the Website forum use. Postings which are pornographic, obscene, vulgar, illegal, or of a sexual nature are prohibited. Language that is offensive, slanderous, abusive, threatening, rude, violent, or hateful is not permitted. All members should be treated respectfully. Personal attacks will not be tolerated. The posting of personal information about persons other than yourself including but not limited to names, addresses, phone numbers, health information, or other personal data is prohibited. Any false statement that is harmful to someone's reputation is not permitted. The repeating of someone else's false statement that is harmful to someone's reputation is not permitted. Avatars or signatures that could be construed as offensive or contain animations are prohibited. Any material or conversation that is in violation of Local, State, or Federal Laws is not permitted. Threads should stay on topic. Thread spamming is not permitted. Cross-posting is not allowed. Cross-posting is defined as posting the same information in two or more locations. When posting your topic, please try to post it in the most appropriate place within the organizational structure of the forum. Identical topics posted in the same or different forums will be removed. Attempts to artificially increase post count are prohibited. This includes the mass creation of short or meaningless posts. Obtaining multiple user IDs or sharing of IDs is prohibited. Posting in all capital letters is not permitted. Advertisements are not allowed. Posts made specifically for the promotion of a website, product, or service are considered advertising. You may only post links to external websites that that are relevant to the thread or answer a question being asked and the answer cannot be simply posted with the link alone. Users are required to disclose material connections they have with companies whose products or services they endorse. Users may not make misleading or unsubstantiated claims about a product or service. Linking, discussion, or promotion of other online forums or groups is only permitted in cases where it is a relevant source citation. If you feel that a posted message is in conflict with the Website forum User Guidelines, please notify TYP immediately. Consider use of the Website forum 'Ignore' feature if warranted. Members found to violating this Agreement may receive a warning, or be temporarily or permanently banned at the sole discretion of TYP. If you are temporarily or permanently banned as a result of violation of this Agreement, you will not receive a refund of any membership payments. It is recommended that you do not disclose any personal information such as phone number, postal address, zip code, last name, or other applicable personal information on the Website, or in transmissions to third parties, including other members, using email or the private messaging function. Only email address, user name, and password are required for registration. If you receive spam, solicitation, or other private messages or emails that violate this Agreement or the User Guidelines, please report the message to us so we can investigate. The materials appearing on the Website forum could include technical, typographical, or photographic errors. TYP does not warrant that any of the materials on the Website are accurate, complete, or current. TYP may make changes to the materials contained on the Website at any time without notice. TYP does not, however, make any commitment to update the materials. TYP may modify or adapt your content in order to transmit, display or distribute it over computer networks and in various media and/or make changes to your content as are necessary to conform and adapt that content to any requirements or limitations of any networks, devices, services or media. By using the Website you agree that TYP has the right to reproduce, remove, edit, or adjust any material posted or uploaded at any time.